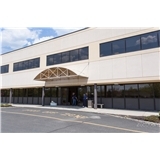 Orthopedic Associates of Central Jersey (Edison) - Book Appointment Online! Very professional staff. Not a long wait time in the room before being seen. Very thorough exam by Dr. Including X-rays. Sent for MRI to validate diagnosis. Great doctor. Thorough, knowledgeable and kind. Friendly, helpful staff. Clean, conveniently located office. I highly recommend Dr. Marcus. I was in so much pain; TG his office personnel were able to schedule me this afternoon!